When you are waiting for approval on your home loan, you need to prepare for this one important detail. Your lender is unlikely to regard your most recent pay deposit as part of your contribution at closing. That means your paycheck is not eligible to form part of your deposit. Conventional home loans require a substantial deposit of twenty percent of the purchase price. If you intend to take advantage of a government-backed loan program, your deposit may be as low as 3.5 percent instead. However, even if that covers most of your deposit, your lender won’t see it that way. Instead, mortgage lenders prefer to count only funds that posted to your accounts more than sixty days ago. The term for such balances is that they are seasoned. As the Scouts say, “Be prepared” which is an excellent motto for the stressful time that you spend house hunting and negotiating with sellers. Getting to the point of agreement is not the end of the process; as the buyer, both you and the home must qualify for mortgage funding with your lender. By this point you will be pre-qualified, otherwise, the sellers and agents would not have taken you seriously. You will also have sought pre-approval from a lender. 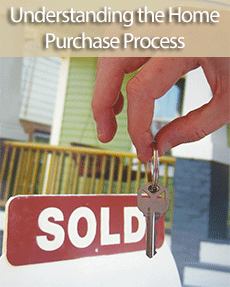 This all serves to put you in the position to negotiate the best deal and close on a house. However, even when you have preapproval, your lender will still have to formally propose the loan to their underwriters, who look at everything very carefully before agreeing to release the loan funds. Finding out that your bank balance is somehow inadequate, even when the funds are there, is a jarring experience. Your Realtor will gladly help you prepare your finances for final approval. After all, they depend on your success to stay in business. You still need to begin the process ahead of time. The longer before you intend to purchase that you can start to gather the resources, the more smoothly the home buying experience will go for you. If you are just now thinking about entering the home buying marketplace be patient, buying a home is a major life event, and you need to take your time to do it right. There is no point in rushing because of two significant risks. You will either regret purchasing the property after you choose it too quickly or you will hit roadblocks. These obstacles are such things as sellers passing over your offer or loan applications rejected by lenders. In the time you spend to prepare, work to improve your credit score and put away enough funds to make a reasonable offer on a home that you like. If you do this before you begin house hunting, you will have properly seasoned cash in the bank when it is time to close the deal, pick up the keys, and start making payments on your new mortgage.